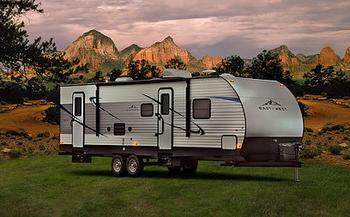 Forest River is recalling 144 model year 2019 Forest River East to West travel trailers. These vehicles may have been manufactured without a carbon monoxide detector which would prevent occupants from being warned if carbon monoxide levels become too high. Exposure to high levels of carbon monoxide can increase the risk of injury and death. Forest River will notify owners, and dealers will install a battery-powered carbon monoxide detector, free of charge. The recall is expected to begin in October 2018. Owners may contact Forest River customer service at (574) 264-6664 extension 50008. Forest River's number for this recall is 500-0855.